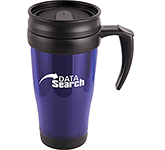 When it comes to creating maximum brand exposure coupled with durability, few giveaways come close to promotional travel mugs. 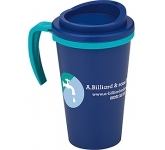 These high-quality promotional products will carry around your logo and message wherever they travel for all to see. 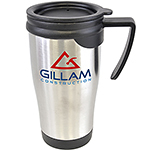 Offering exceptional versatility, insulated travel mugs are perfect for handing out at exhibitions, trade shows and conferences. In addition, with price points to suit every budget they also represent amazing value for money when compared with alternative forms of advertising. 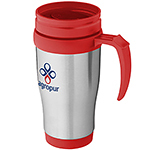 Let's take a look at the top reasons why travel mugs are such a popular choice. 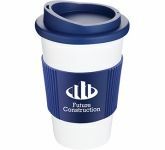 Whether you choose plastic or metal travel mugs their robust construction will ensure your branding hangs around for many months if not years. Their durability ensures not only long-term environmental improvements, but also long-term exposure for your brand since you'll become part of daily routines everywhere. 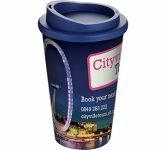 Compared to film, radio or TV advertising promotional travel mugs offer an excellent return on investment when considering the amount of impressions your message will receive. Every time your user takes a sip of their favourite beverage your logo and message will be right in their eye-line - close up brand advertising does not get much better than that! 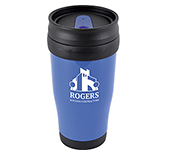 Promotional travel mugs come in a variety of sizes, making spill proof resources for both cold and hot drinks. 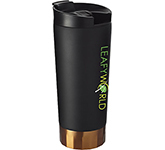 Plus, if plastic isn't your style, we offer custom travel mugs in a variety of materials. From copper to stainless steel, we've got hundreds to choose from to suit all occasions! 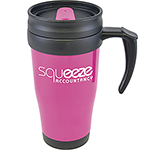 When it comes to colour options travel mugs are available in just about every conceivable option to compliment your branding. 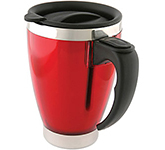 You can use the same mug for hot chocolate or for cold milk and it will work equally well. 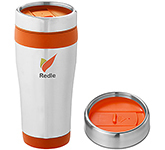 If you're looking for a mug primarily to be used with hot drinks, choose a double-walled design which features an outer layer of stainless steel and an inner layer of plastic with a cushion of space in between. This unique construction enables the liquid stored inside to retain its temperature for a longer period of time and helps to keep the outside of the mug from getting too hot to the touch. 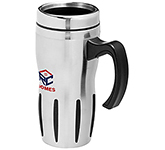 Stainless steel mugs are non-porous, which makes them resistant to staining. It also means that they require little or no elbow grease to clean. Often a good rinse with hot water is all that is needed to remove surface residue. 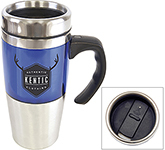 Select from traditional screen printing or alternatively on our metal travel mugs why not opt for precision laser engraving to create a truly professional, permanent finish. 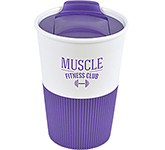 Either way, promotional travel mugs offer amazing branding potential. 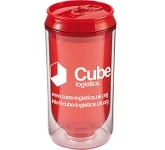 Wake up and smell the coffee - start promoting your company today with promotional travel mugs! With such a wide variety of styles, colours, materials and other customisation options, you have hundreds of potential combinations, maximising your ability to find exactly what your next promotion needs. 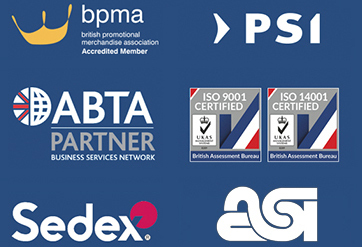 Whether promoting a product, message, event, or organisation, we'll help you through every step of the process. 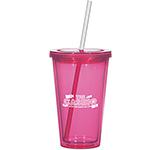 Let us help you navigate your way to success with promotional travel mugs! Start browsing now and give us a call if you have any questions.